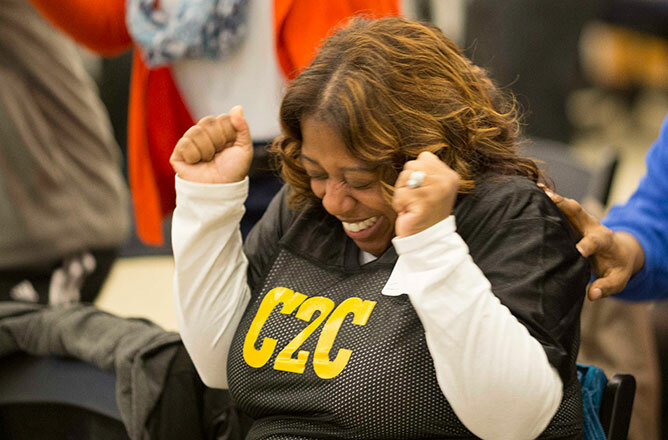 On Wednesday, December 5, Core City: Cleveland Impact Program participant Angel Washington delivered the winning pitch for her business, Consult 2 Code, during the program’s culminating entrepreneur showcase—taking home the top prize of $10,000 to grow her business. Inspired to start her own company after working for years in the medical coding and billing field, Angel founded Consult 2 Code in 2008 to help clients increase profitability while removing the burden of the billing process from their offices. After the competition, we had a chance to catch up with Angel to discuss her showcase pitch experience and how she plans to grow Consult 2 Code using her prize money. JumpStart’s Core City: Cleveland Impact Program, is an intensive business assistance program designed to support the development and growth of businesses located within Cleveland’s core neighborhoods. We’re now accepting applications for Cohort 7—click here to apply. Submissions are due by December 17.